This September popular online retailer Zalando will, once again, host the famed trade Show Bread & Butter. In celebration of their second year Zalando organised a preview party of what is to come later this year. 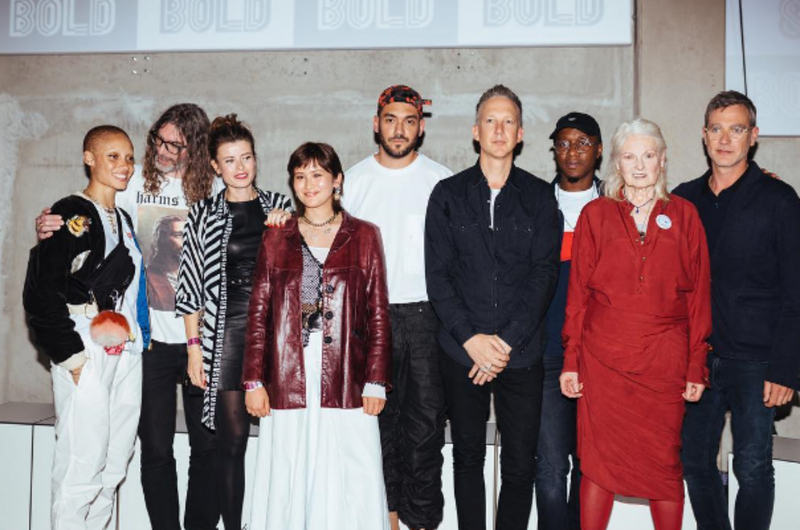 The event was led by a pannel disucssion and interviews with some of the fashion industry’s biggest names in the game, including iconic designer Dame Vivienne Westwood, Sukeban Mag’s Erika Bowes, and model/activist Adwoa Aboah. Jefferson Hack, co-founder of Dazed Media, hosted the discussion group, while rising alt-R&B star ABRA later took the stage to perfrom live half way through the party. Main theme of the group discussion? What does being “BOLD” mean nowadays, how do we define the word, when do we consider ourselves to be bold, and does it come with different points of view based on gender, and more. Westwood, in particular, was very outspoken. Though, this was probably one of the least surprising occurances of the evening, given that the 76-year old has always been known to candidly speak her mind in terms of politics, social and economical issues alike. This time, she fired her shots against modern day’s excessive consumerism and climate change. Taking all of this, last season’s more than memorable festivities starring Gigi Hadid, plus the fact this was a “just” the preview(! )-party, we cannot wait for September to arrive and see what this year’s Bread & Butter by Zalando has in store. Bread & Butter 2017 kicks off September 1st and goes through the 3rd.